A wise man once told me: A cheap exotic might just be the most expensive car you ever buy. It may have been the cheap wine, the altitude, or the way his beard moved when he said it...but those words have stuck with me, and are particularly poignant in the context of this next feature. And, unfortunately (or fortunately? 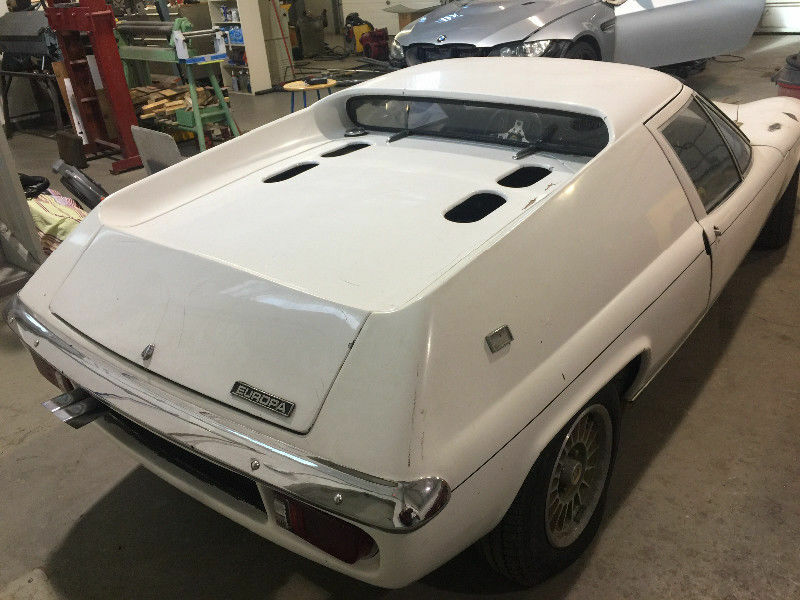 ), I share the same opinion as tipper Erik202 who writes: File this one under cars i should buy but won't but will probably wish i had in about 2 years. Anyway, instead of sitting on this I'll share it with the DT faithful! Find this 1969 Lotus Europa offered for $9500 CAD ($7162 USD at time of printing) located in Edmonton, AB via Kijiji.ca. 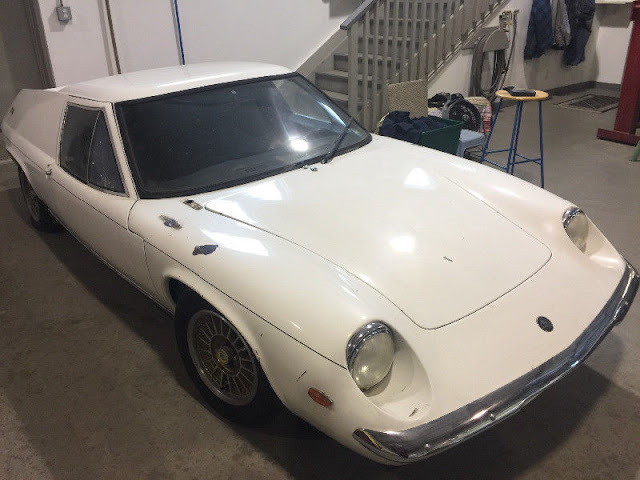 1969 Lotus Europa. This is a project needing some work before you can drive it. It was last registered many years ago but its still active on the Alberta database. The car is somewhat complete though it is missing seat belts. Its got the pushrod Renault engine and needs a water pump. The engine turns over by hand and makes compression. I suppose it will need the gas and oil drained, brakes bled, a battery, and new tires. The windshield is good. The paint is poor, showing its age but its certainly functional as is. I can provide more pictures though anyone serious should make their way to come look at it. Mid engine, no power options or a/c. Mid engine minimalistic car designed for handling. For those who don't know this is a tiny car, it only comes up to your belt line and will not fit a tall or large person. Wait What? It doesn't run and is a project?! Never heard of such a thing. I don't always turn my car over by hand, but when I do it's a Lotus. I remember seeing the occasional one of these in the autotrader back in the late 90's early 2000's thinking that while $2500 was a great deal that all I'd be getting would be a barely put together with rivets used up pile of trash. I was probably right, but with today's price that was a steal. This looks like a desirable very early series 2. IE it still has the prettier pushbutton doors* and does not have the bug front turn signal but does have the windows that open and presumably a frame that is not embedded in fiberglass. A sorted one of these has to be epic to drive.